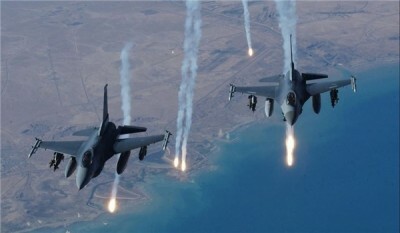 are prohibited from carrying air-to-air missiles over Syrian airspace. US-coalition aircraft may only retain an internal gun and flare/chaff dispensers for self-defense. All air-to-air weapons are prohibited. Violators will be photographed, national origin and tail number recorded, and escorted out of Syrian airspace. Repeat offenders could be shot down and its aircrew returned to nation of origin.